This picking winners ATS circus needed a turnaround, that of which the New Orleans Saints are looking to embark upon, so why wouldn’t I include them last week as one of three sure things? They’re all sure things before a ball’s been kicked/thrown/run and last week I couldn’t possibly lose. Hell, Aaron Rodgers and Drew Brees had my back as did...the Buffalo Bills. Chris Johnson racked up too many yards to fit on to this line at a laughable 10.8 yards per carry and down the swanny went my three timer. Buffalo really was a gimme -3, but who knows when Johnson will actually feel like running for more than 1.6 YPC on any given...Sunday, isn’t it? As this is a betting column, what would the odds have been on Detroit entering Week 8 owning the league’s second ranked passing offense (307 yards per game)? Probably quite short, you’d think. What would the odds have been on that second ranked passing offense having Calvin Johnson with a solitary touchdown to his name? You would have been able to make up your own odds. Go away quietly now son, this ain’t no time to be fooling with the oddsmakers. It ain’t gonna happen so have whatever price you like. And just like that we all fattened our pockets on the Matthew Stafford to Johnson conduit becoming as clogged as a hardening artery. I have to begin this post by being honest. I’m 1-6 in my last seven picks. I did start 10-3 though, so we’re still showing a small profit on the season. I could list the excuses or the reasons why, but that only looks like sour grapes. Seattle are proving impossible to bet against whenever they’re the underdog this season. However, as promising a trend as that’s becoming, this week may prove to be a little different. To get the nuts and bolts out of the way, the Seahawks are available +7.5; the hometown 49ers can be backed -6.5. I’m beginning to wish I wasn’t so hooked on picking teams against the spread. Having been sitting pretty with a 10-3 record as Week 4 came to a close, I’m now 10-7, on a four game skid, including 0-3 last week. Last week...hmmm. Cleveland decided to go against type against the Giants in New Jersey. They were 3-0 ATS this season when available with at least a seven point start. The ten points on offer last week looked too good to be true. Turns out it was. It’s unwise to bet against Tom Brady. Only do so when there are at least three good reasons to do so. 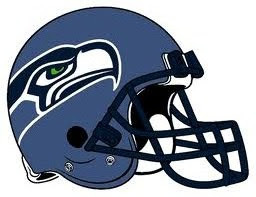 Those (lucky enough to be) predisposed to throwing caution to the wind may disregard the opening two sentences and if such a nature permeates your bones, then being able to back the Seahawks as a home underdog (+3.5) will be right up your alley. Are there three reasons to bet against Brady this week? You bet your life there is. The outcome of Monday Night Football last week was a bittersweet result for me. I had pushed my record ATS to 10-3 on the season when New England did the biggest number on the Bills in Buffalo during an otherworldly second half performance and Minnesota easily covered in Detroit when given 4.5 points against the Lions. Dallas looked extremely good -3 at home to Chicago and still do bar Tony Romo throwing five picks, two being returned for touchdowns. However, how bad could it be? I can still boast a 10-4 record after four weeks and I backed the Bears to win this thing outright at 33/1 back in August so I was glad they made a statement, particularly after their demoralising loss in Green Bay in Week 2. Last week was tough to predict, which is why I only went with three picks. Let’s see what spreads are available in Week 5 and where the potential betting gems lay. That Carolina should have left the Georgia Dome last week with the W in their back pocket, just ten days after a public flogging at the hands of a depleted New York Giants team (on home turf, no less) tells you all you need to know about placing your hard earned on the Panthers. So, why do I have a strong fancy for them this week? Some sportsbooks are asking the home team to win by just a field goal in order to cover, available as they are -2.5. And there was I doing so well. Well, I still am, if I may be so bold as to say so, but 6-1 looks so much better than 8-3, which is my record ATS after three weeks of what has been an already unforgettable season; particularly unforgettable in Seattle and Green Bay. Being awake at 4:50 a.m. during the working week is strangely liberating. Being awake at 4:50 a.m. during the working week with adrenalin coursing through your veins is worrisome. You almost have to resign yourself to the day beginning right there, right then. It’s what I had to accept this past Tuesday morning after the Seahawks were awarded the game against the Packers. The Green Bay Packers do a lot of things well, on and off the field, too many to list here. One thing they don’t do well is defend the run. Their numbers from last season show that they gave up 111.8 rushing yards per game, 14th in the league, a figure that’s acceptable when Aaron Rodgers is your quarterback. This darned spread betting is difficult to judge at the best of times. The best of times are anywhere after Week 4, when statistical lines are becoming consistent and, more importantly, the pattern begins to emerge of which teams are covering the spread or, as is the vernacular, winning ATS (against the spread). I can only hope you heeded my advice last week. 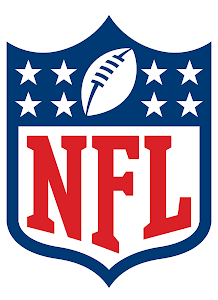 Against my better judgement, I decided to proffer an opinion on every game in Week 1 of the NFL, giving those of you who thrive on the challenge of outwitting the sportsbooks a look at where you could have placed your hard earned. Having already warned caveat emptor, I did treat it as an exercise in enjoyment, taking a relatively light hearted look at the schedule, just to gauge how good or bad my predictions would look after the first sixteen games of the season. Be careful what you wish for. I might mean Russell Wilson being anointed the starting quarterback in Seattle or Kevin Kolb taking over for an injured John Skelton in the fourth quarter last Sunday. Or both. Having already given you my ‘can’t miss’ bet of the week (the ‘Aaron Curry’, as it shall now become known), when laying it on pretty thick how much of a good thing the Seahawks are against the spread (ATS) this week in Arizona, it’s time to introduce you to how the rest of the NFL is shaping up in the various sportsbooks online...if you aren’t fortunate enough to be in Vegas. Please gamble responsibly. That’s the sage advice that rightfully accompanies any betting advertisement. Last year, I gave spread betting advice on every game of the 2011 season (that can still be seen at Rob’s NFL Yard, but why would you wish to revisit that? ), which, while proving to be almost the most fun you can have on this side of the pond, I quickly grew to realise that tipping up teams based on the spread on offer in Vegas (or elsewhere, as I’ll be pointing out this season) can prove ridiculously treacherous; hardly responsible tipping. If I may be so bold as to type this, it’s one thing to pick your winners from scratch, quite another when trying to justify why your hard earned should be placed with faith on the Rams +7 points at home to the Cowboys. Pete Carroll, you’ve made me start all over again. I had the perfect pitch for this post. Russell Wilson, as had been the case in the first two preseason games, would heed the call for the second half in Kansas City this week after Matt Flynn had hopefully impressed enough over the first two quarters and I was going to write how the Seahawks were the biggest of all locks this week on the handicap because of it. Not a bad way to begin matters, eh? Last Saturday went very smoothly. One down and we own a 100% record. 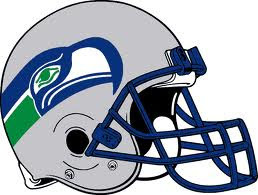 Oh yeah, and the Seahawks dismantled the Titans of Tennessee, 27-17. I don’t care much for the preseason. There, got it out of my system. I used to care, a lot. The NFL brought the preseason to Wembley Stadium back in August 1986. Actually, that’s not entirely correct. They brought William Perry to Wembley Stadium in August 1986 under the guise of the Chicago Bears vs. the Dallas Cowboys, but we were a naïve bunch back then and the league could have sold us anything. Rob's NFL Yard. Awesome Inc. theme. Powered by Blogger.